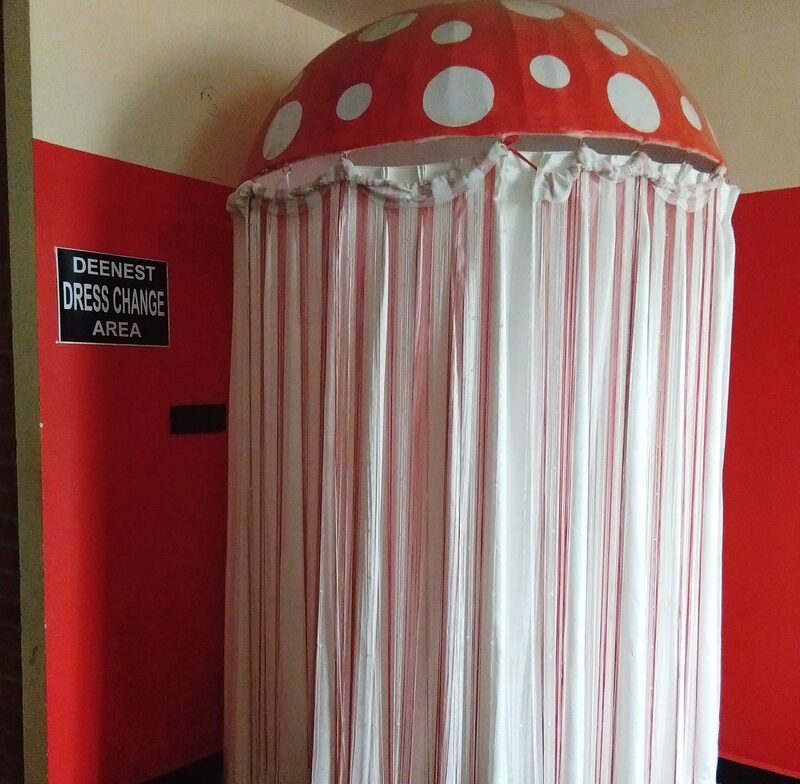 DeeNest, at Deens Academy, caters best to the needs of parents and children in the age group of 6 months and above. 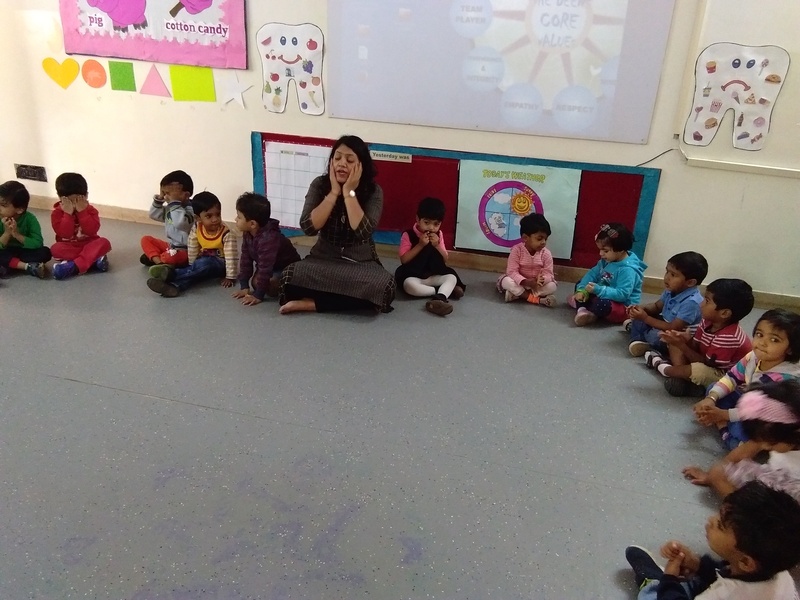 As early childhood learning plays an important role in children’s development, DeeNest provides valuable support in this regard. 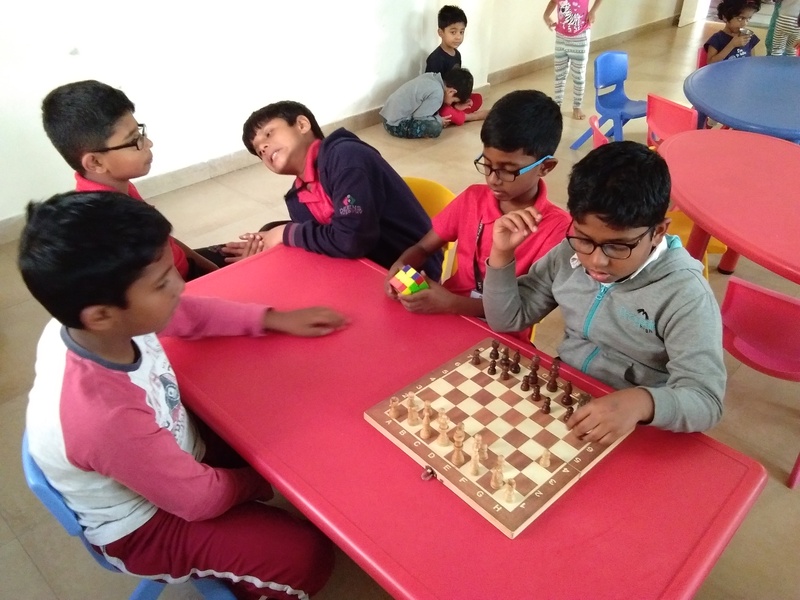 Enrolled children are offered an overall cheerful and educative experience in a comfortable and beneficial environment. 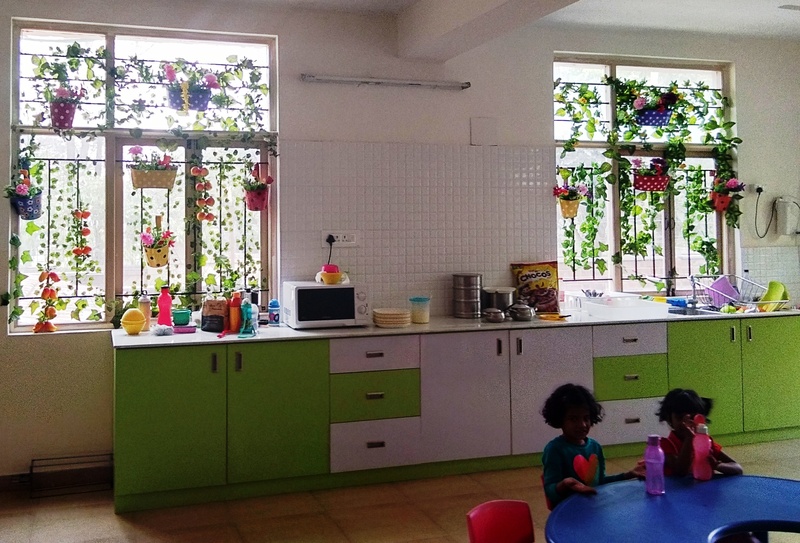 DeeNest Day Care is all about nurturing physical, emotional & intellectual abilities in children. We are able to secure this with our policy of maintaining a very efficient team of employees. This is achieved by our vigilant supervision and collaboration with an Eminent Professional Company, ‘Moments of Magic’. through their ‘Elite Nanny and Support Staff Certification Program’, we have all our care givers Trained and Certified to enhance the quality of services provided to our parents and children. 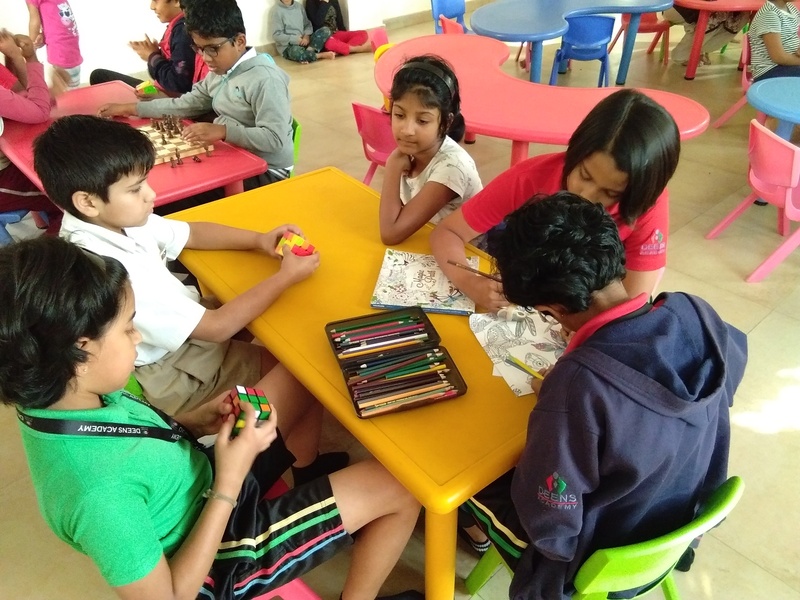 Emphasis is highly placed on maintaining an excellent rapport with parents through a dedicated, long serving workforce. We feel this brings out a better understanding between the Cared and the Care Giver. 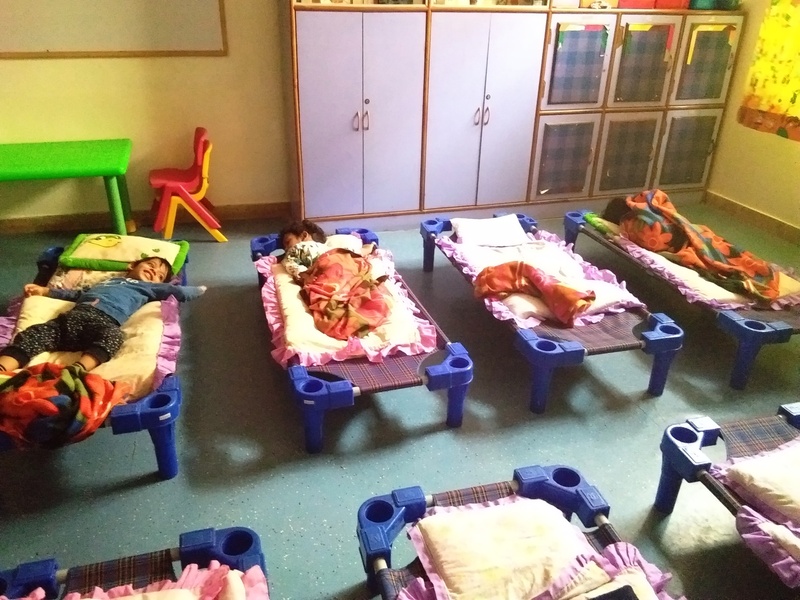 DeeNest has spacious rooms that meet an infants need to move, explore, express and relax. 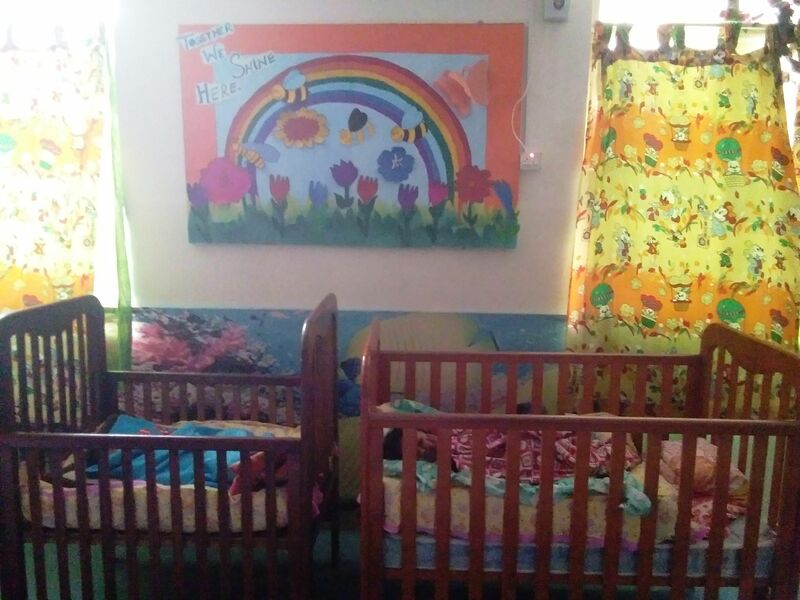 Personal cribs, separate areas for changing and feeding and our footwear policy,which requires that all shoes be left outside when entering DeeNest, ensures clean playing, eating and sleeping spaces. * taking care of infants, toddlers, preschoolers and children up to 14 yrs of age. * potty training when your child is ready. * have all kids well fed, maintaining a 1:5 staff child ratio for toddlers. * engage all children in age appropriate activities. 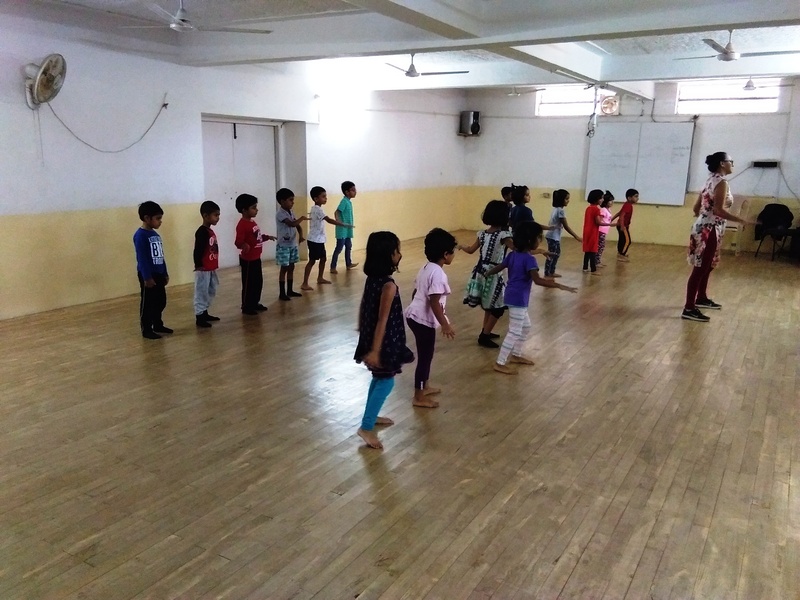 * keep children 4years and above active by engaging them in extra-curricular activities like skating, swimming, dance and English language and communication classes. 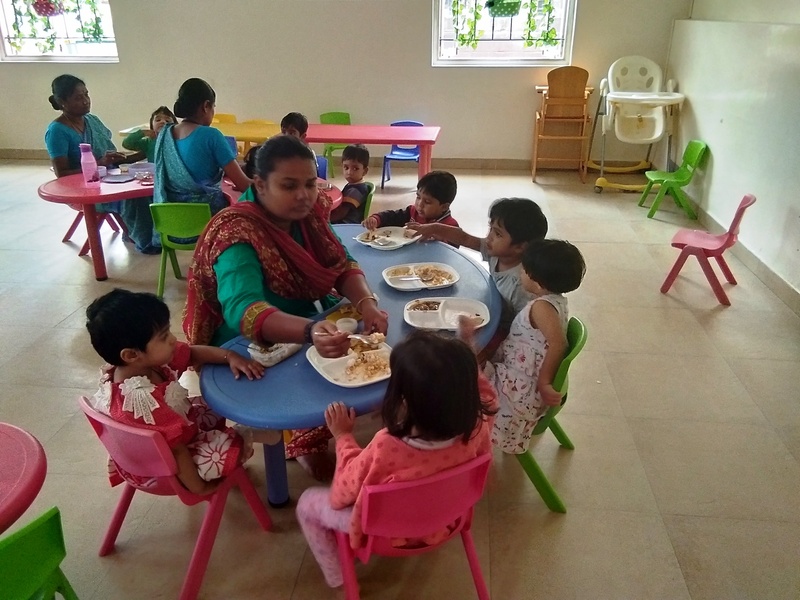 DeeNest offers a 3 hour Junior Toddler programme for children in the age group of 1-2 years and a Senior Toddler programme for children in the age group of 2 years and above. 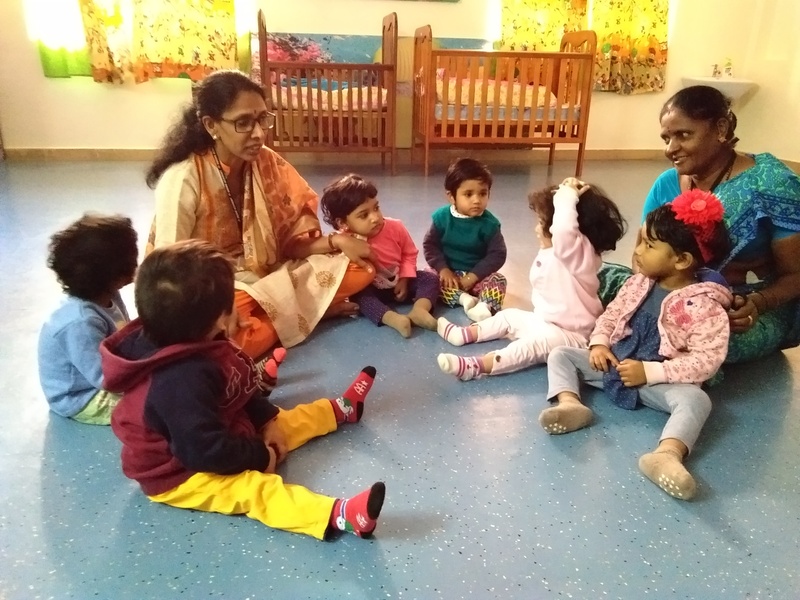 Our toddler curriculum creates a developmentally appropriate learning environment that empowers our toddlers to be successful life long learners. 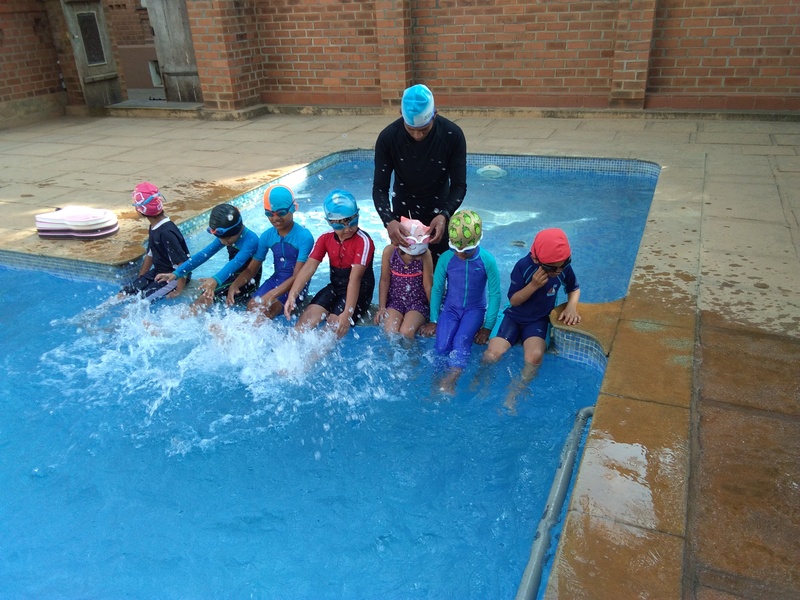 They enjoy learning experiences that promote their blossoming independence and social skills and foster self confidence. Teachers promote emotional, physical, social and intellectual development in a fun engaging environment. 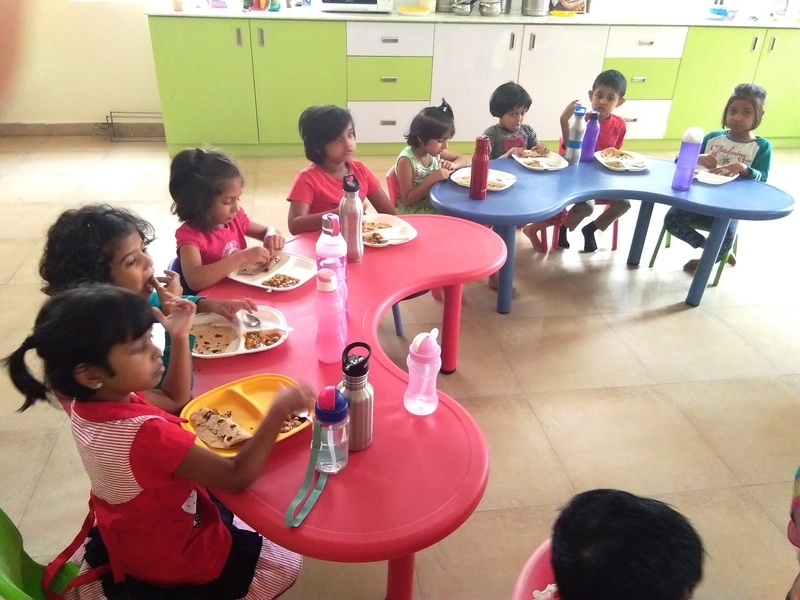 We provide delicious, nutritionally balanced meals and snacks that includes fruits and milk which children enjoy. Also provided is our tender loving care, but we never forget that you are your child’s most important and consistent source of love and support. 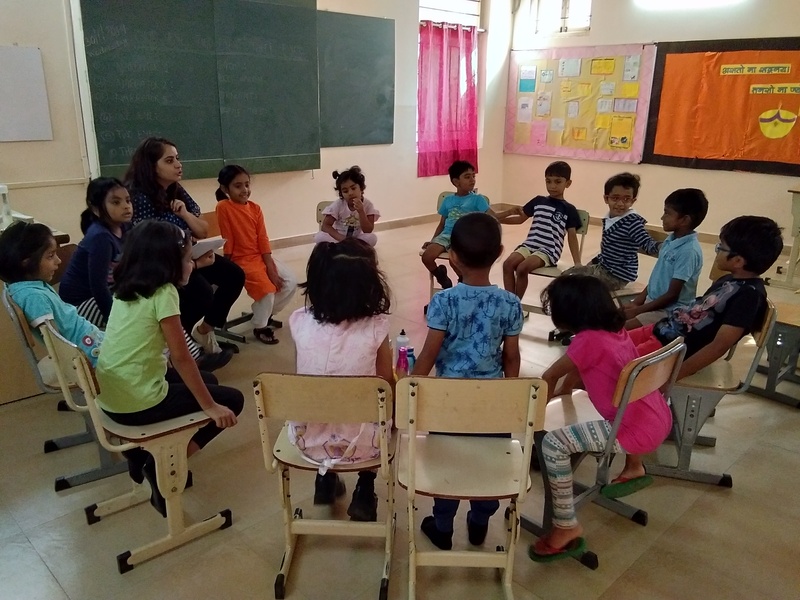 Hence we endeavour to work with you and provide daily reports and offer tips on how to reinforce what your child learns in his or her time with us.